Floral provider, 1-800-Flowers.com is using tech and other innovations to make it easier than ever to win hearts on Valentine’s Day, including AI-powered gift concierge and voice shopping. 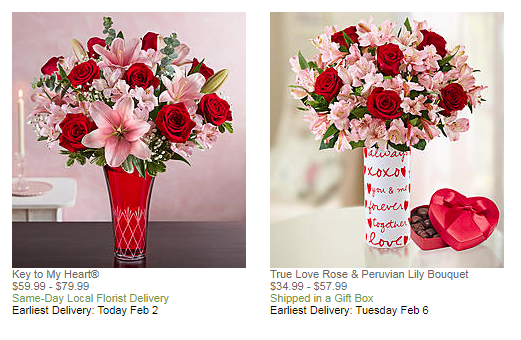 Mobile shoppers can order from 1-800-Flowers.com via chat or voice across a variety of platforms. 1-800-Flowers.com is launching an enhanced voice-enabled Alexa skill with “one-shot intent” for more streamlined dialog (“Alexa, ask 1-800-Flowers to send my wife roses”). Gift-givers can also make purchases via the Facebook Messenger chat bot, plus connect with the 1-800-Flowers.com customer care team for quick assistance regarding order inquiries. The 1-800-Flowers.com online gift concierge, Gwyn, powered by IBM Watson, has been honing her skills to help provide thoughtful gift suggestions to customers this Valentine’s Day. She creates an intuitive shopping experience for customers, by asking contextually relevant questions, then builds up a detailed understanding of what the gift-giver is looking for and provides the best options in real time.